A Wake County native, I grew up on a farm in the New Hill/Apex, North Carolina area. After graduation from Apex High School, I attended Campbell University in Buies Creek, NC. After two years, I transferred to NC State University and graduated with a Bachelor’s Degree in Business Management and Economics with a minor in Marketing. Immediately out of college, I went to work for The Fidelity Bank and served as a loan officer for 5 years in downtown Wake Forest. In 1989, I began my real estate career with Gould Realty, a small mom & pop but full-service real estate company in Wake Forest. Their specialty was development of residential neighborhoods and new construction. I enjoyed working there for 21 years. I represented over a dozen neighborhoods and several dozen different builders. I represented some of Wake Forest’s finest neighborhoods including Crenshaw Manor, Canonbie & Hawkshead to name a few. 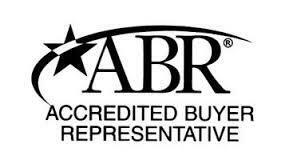 I’ve also furthered my real estate knowledge and education over the years by earning the following designations – GRI, Graduate REALTOR Institute, CRS, Certified Residential Specialist, and ABR, Accredited Buyer Representative.